Most of the floor of the Holy Ka'bah is covered with white marble, while the rest is coloured. 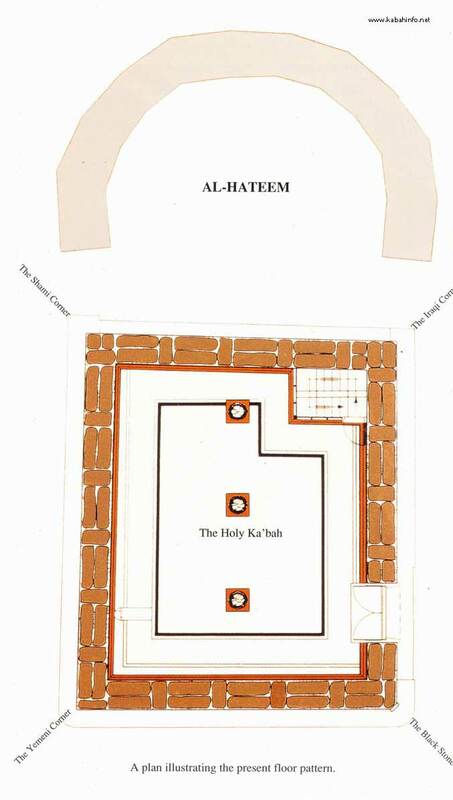 The interior wall of the Holy Ka'bah is mounted with beautifully decorated, coloured marble. 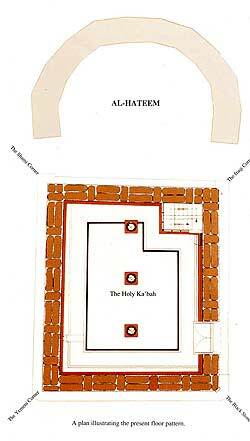 The interior of the Holy Ka'bah is covered with a pink silk curtain, woven in white, with the testimony "There is no god but Allah, Muhammad is the Messenger of Allah", together with some of the Divine Names of Allah in the shape of a zigzag. 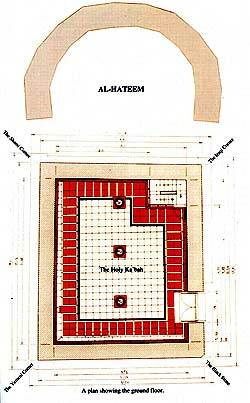 The ceiling of the Holy Ka'bah is also covered with this curtain.